My niece, Emily, and Dan got married on October 29th. Emily is the youngest of my brother’s three children. 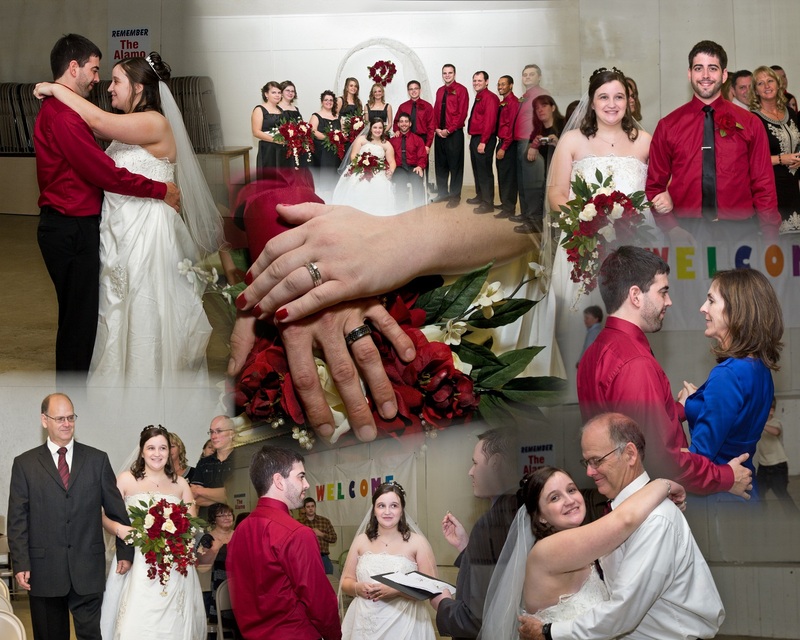 I was the official photographer, and it was the fourth wedding that I photographed this year. I loved the colors, black and red, chosen for the wedding. The bride was beautiful, and the groom was handsome. It was a beautiful wedding all around. Congratulations Emily and Dan! You did a beautiful job with the wedding photos. I bet the bride and groom just loved them. I love these pictures! You have such a good eye for what turns out to be a great picture. I really admire you for being confident enough to shoot weddings…and you do a good job, too. Hi Linda, you've been away for so long, i thought you're not coming back here, once it said your blog was deleted. Anyway, your photos are so good, i think that is the beginning of more wedding picture requests for you! Lovely photos, Linda! They are a beautiful couple and look very happy. Congrats to your niece and her hubby! You caught lots of happy faces and so it looks like a happy day for all. Congrats to them and you on the photos. A wonderful collage, Linda. I used to do them quite a bit, but have not tried this for several years. It inspires me to do it again.I am glad to see you are enjoying success in your endeavors. Congratulations to all. I love this collage of happiness on their special day. Great photos Linda.